These classic hoop earrings will effortlessly take you from day to night! 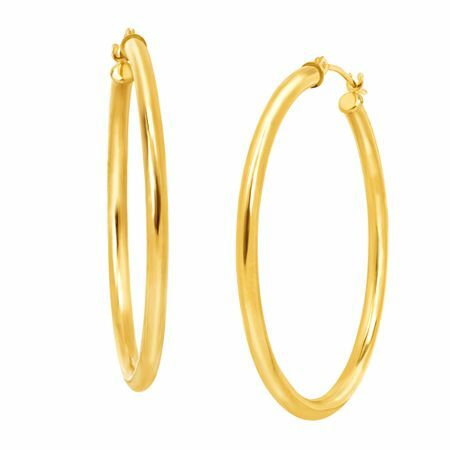 Crafted in 10K gold, these rounded tube hoops are finished with hinges with notched posts. Pieces measure 1 1/2 by 1/16 inches.